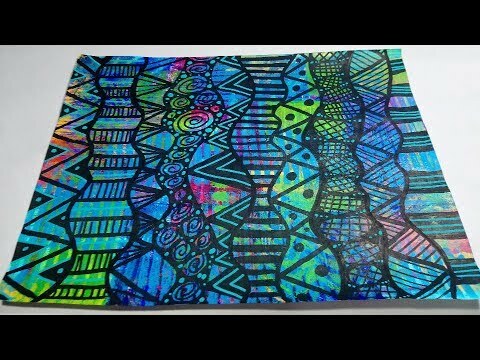 Zen doodling on a Gelli print with paint markers. Creative doodle drawn on a mono-print with black and white Posca paint makers. Drawing doodles is so fun and relaxing! I love doodling! Videos produced by #BeCre8ive2, are intended for private use only.